To make your deck-building experience easy, we offer a complete line of decking tools, plus a library of installation guides. To discover which of our decking materials is right for you, please feel free to look through all of our hardwood decking options. 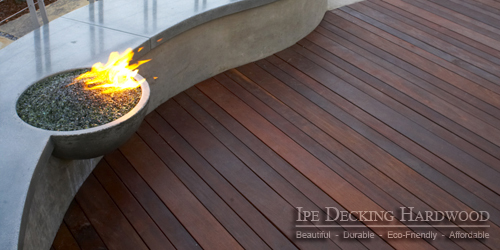 Call or email us today to buy Ipe Decking Hardwood. Build tomorrow's memories with today's best materials. 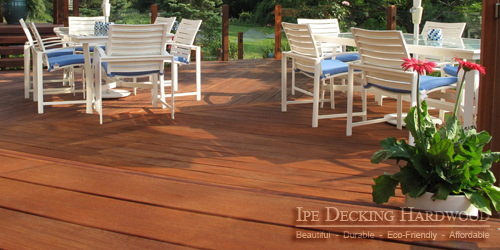 Buy Hardwood Decking. Ipe boasts a lifespan of over 75 years without treatment! 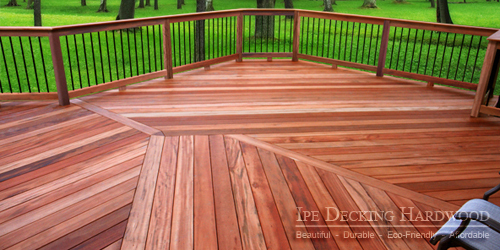 Cumaru provides many of the same benefits as ipe for a fraction of the price. Tigerwood offers one of the most exotic and eye-catching aesthetics you'll find anywhere. Garapa's warm golden color creates a truly relaxing outdoor space. Massaranduba's vibrant color will give your home a luxurious, upscale feel. © IpeDeckingHardwood.com, All rights reserved.